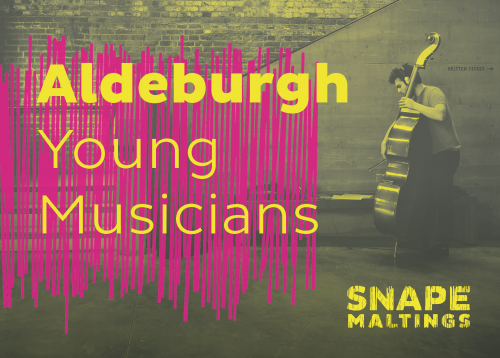 Aldeburgh Young Musicians (AYM) is an innovative Centre for Advanced Training designed to facilitate the development of exceptionally talented young musicians across a wide range of musical styles. Based at Snape Maltings, Suffolk, AYM forms part of Snape Maltings’ Creative Campus and exists to inspire the young musicians of the future. AYM’s approach towards music making is distinctive, relevant and exciting. The young musicians collaborate with professionals to explore all aspects and genres of music. AYM consists of several strands, each of which helps to develop different skills which encourage the young musicians to be versatile, exciting and ultimately, employable musicians. Instead of the typical ‘Saturday School’ approach of our fellow Junior Conservatoires, Aldeburgh Young Musicians offers intensive residencies (during weekends and school holidays) throughout the year. Whilst attending these residencies, the young musicians attend musical activities in the day, but also stay together overnight, encouraging social skills. As a result, AYM has a unique ‘family’ atmosphere – young musicians of all ages and from all walks of life get to meet likeminded people in an inspiring place. The scheme is not genre or instrument specific. AYM is looking for musicality, commitment and potential. If a young musician has a passion for music, they should consider AYM. Further information about the scheme is available at snapemaltings.co.uk.